I have long been an admirer of silhouettes for their classic and timeless style. They have been popping up all over the place from wallpaper, framed art, stationery, and even jewelry. 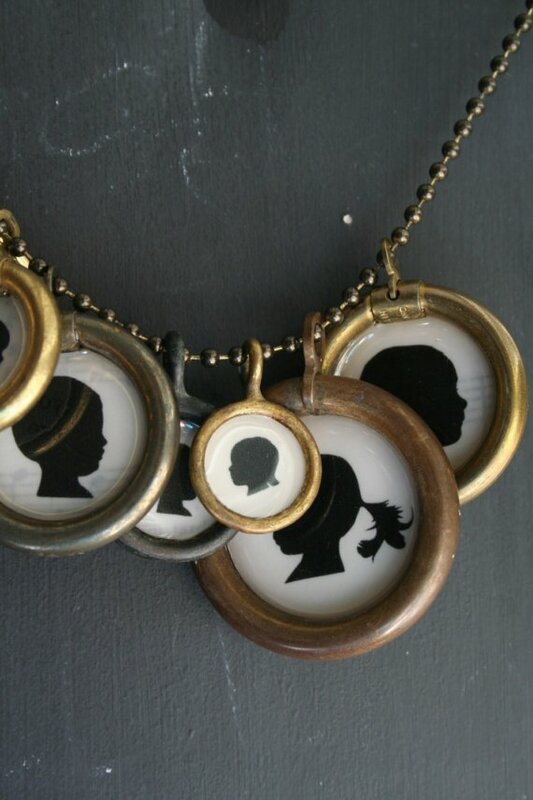 I came across these custom silhouette charms and love them on their simple chain. Isn't Etsy the best?! You can get them here.